THE PHANTOM LIKE YOU'VE NEVER SEEN HIM BEFORE! Featuring an all-new dubbed dialogue track with sound effects and a new musical score. Chaney's classic has been completely re-edited, combining the best of the original 1925 version with the 1929 re-release. 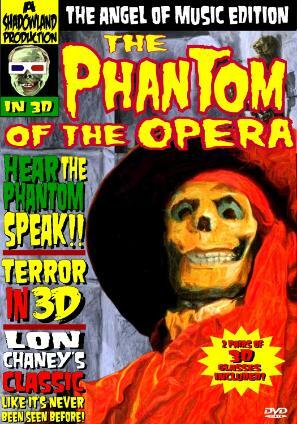 Now, for the first time, watch The Phantom of the Opera as a 'talkie' and in startling 3D! special features on both discs! Also includes 2 pairs of 3D glasses. 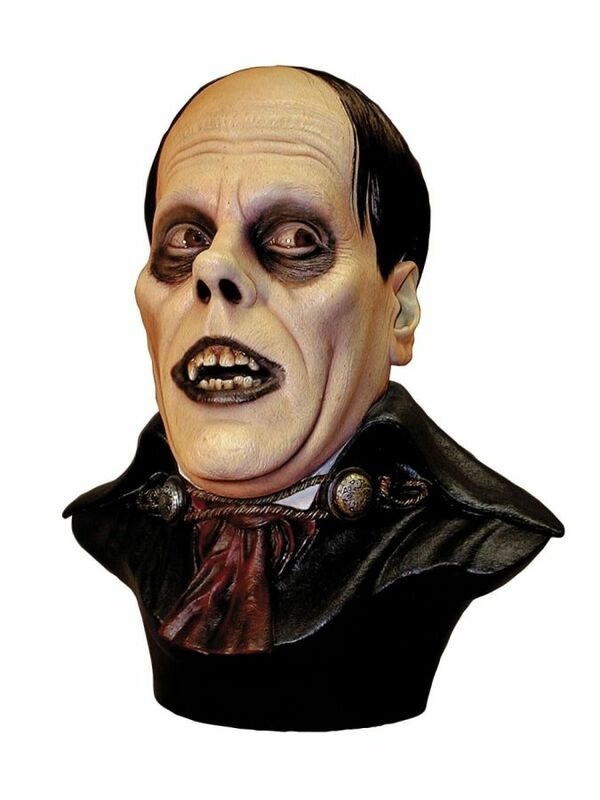 This deluxe bust features the most famous Lon Chaney Sr. character, the ghastly, yet sympathetic Phantom Of The Opera. This handed painted version is life size 1-to-1 scale and 16 1/2"" tall. The entire resin bust is cast in one-piece with a name plate that goes on the bottom. What actual events inspired the story? What inspired Chaney's make-up? What was in the hour of footage cut from the film's release that was considered too horrible for audiences in 1925? The answers to these and many other questions can be found in this book. 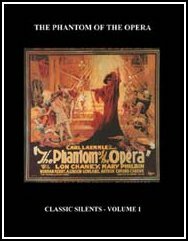 Includes: complete Press Book; complete shooting script; rare behind the scenes photographs; complete production history from those who were there; Contributions by Mary Philbin ("Christine"), Charles van Enger, and more! 320 Pages. Written by Philip J. Riley.